After an amazing time at our Bali codeschool in 2017 (see our recap blog), we couldn’t wait to go back. We returned in full force with a sold-out class of 12, including students from Indonesia, USA, Canada and Mexico. We explored new places, adventured with new foods, made wonderful new friendships, and learned new skills that have already led to new jobs for our grads. 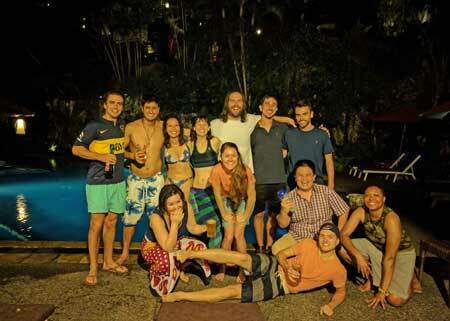 Keep reading for fun stories, photos, and projects we built at our Bali code course. Make sure you read all the way to the end for all the feels, and why we are so dang proud of the work we do at CodingNomads! And if you haven’t already, check out our student testimonial video! Our Java + Spring + SQL + AWS training is our legacy coding bootcamp, and teaches students to go deep in the technical backend of software engineering. 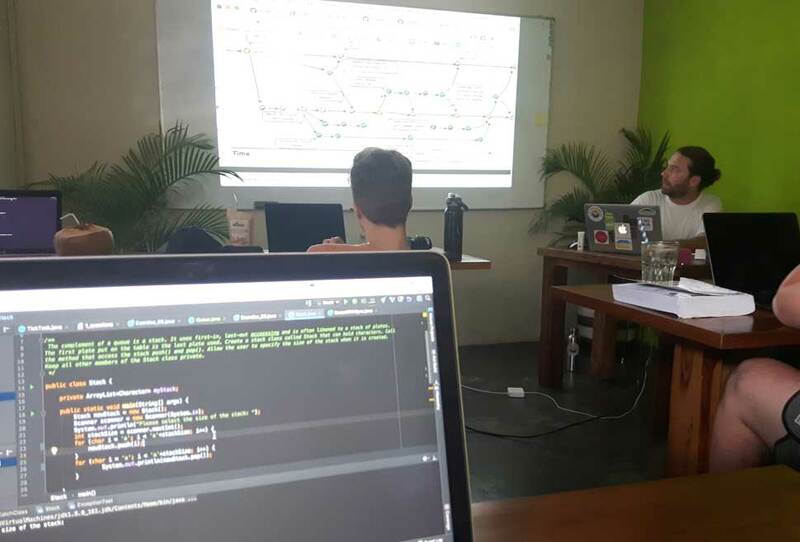 For our Bali 2018 Java coding bootcamp we ran a pilot 4 week online preparatory program focusing on Java fundamentals. 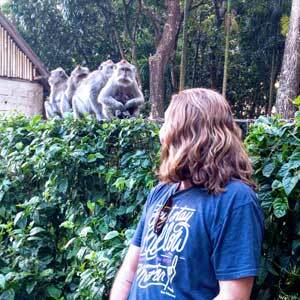 This enabled us to hit the ground running and go deeper into more technical programming when we got to Bali. The online prep program was so successful in giving our students a head start, that we incorporated it into all our Java courses moving forward. We teach students a well-rounded skills package including Java, the Spring Framework, RESTful API development, MVC development, security, shell scripting, deployment, scalability, Git, Jira, and more. Students leave our course well-versed in skills needed for tens of thousands of jobs worldwide, as well as with a solid foundation to learn any other programming language. To see our full syllabus, please visit our Java course page. With a curriculum built upon the skills employed during our instructors’ tenure in the San Francisco Bay Area, we focus on getting students comfortable executing the day-to-day tasks of server-side engineers. Students can apply these skills to jobs with companies across all industry sectors, as well as build their own projects as entrepreneurs. Our students come from all different backgrounds and with varying goals for learning to code. 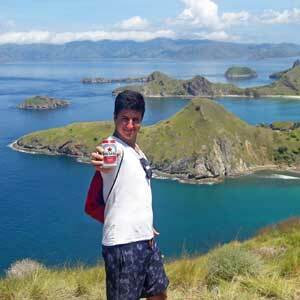 So we support each student to work on projects that satisfy their interests and goals. You can read some of our student feedback in our reviews on SwitchUp and Course Report. Year after year, Java continues to be the #1 most in-demand programming language. Only 12% of coding bootcamps teach Java, which gives CodingNomads’ alumni an advantage over other bootcamp grads. We love Java so much that we wrote a blog about the many reasons why you should consider learning Java. Side note: we also now teach Python programming! Based on popular demand, we’ve expanded our coding retreat offerings so students can choose to learn Python programming online or while traveling with us. 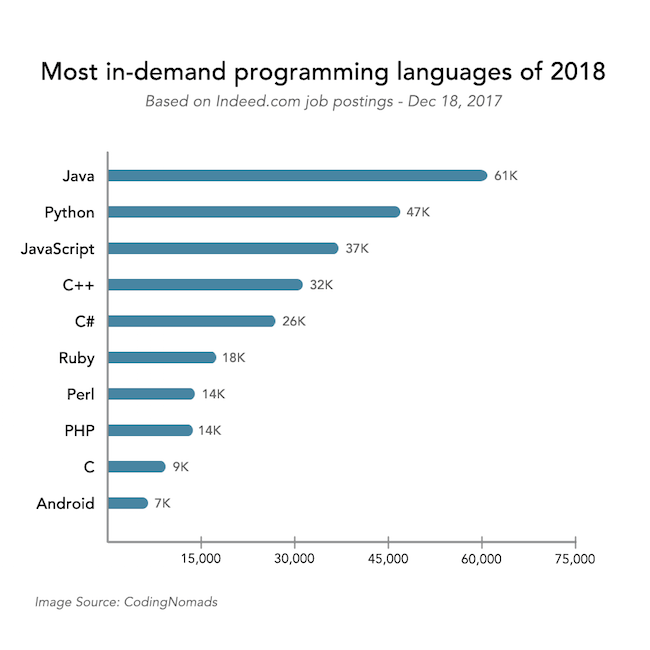 Python is the #2 most in-demand programming language (only after Java!). We’re excited to offer an affordable and fun way to learn these valuable skills too! 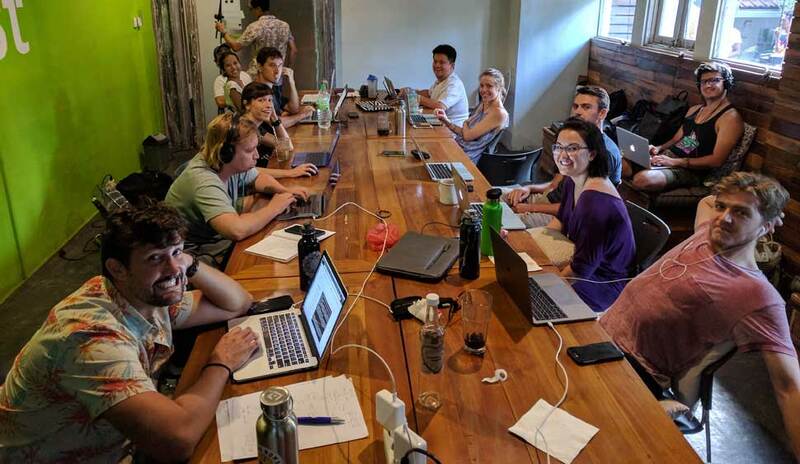 Following suit with our code schools in Mexico and Thailand, our Bali cohort chose to build their final project focusing on cryptocurrency. Not only is crypto a fascinating burgeoning industry, but it gives us large data sets to play with – perfect for implementing our knowledge of APIs, data structures and more. In the final 4 weeks of our bootcamp (which take place online), our cohort used the skills they learned in the previous 12 weeks to build several crypto applications. 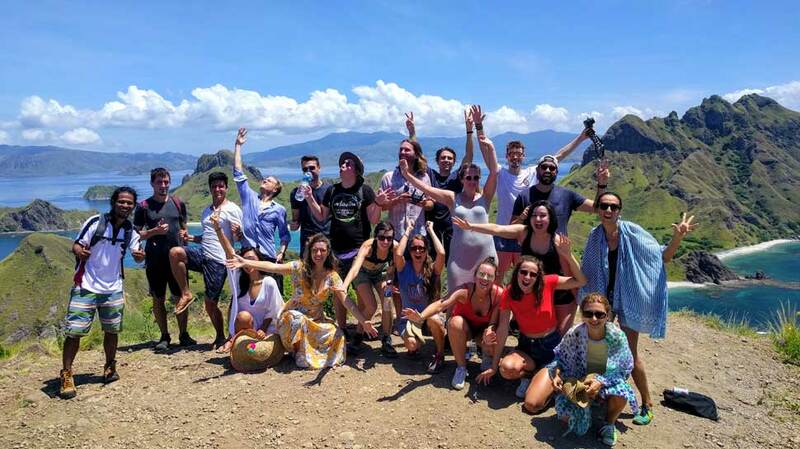 Having become close friends during the course, many of our students continued traveling together over the final month so they could work closely together on the final project – and continue living the digital nomad dream! This project works to programmatically identify and act on cryptocurrency exchange arbitrage opportunities, and makes future price predictions. For this project students used Java, Spring, Maven, MyBatis, OAuth2, EC2, RDS, HTML/CSS and more. It was aptly named after the famous Komodo dragons that we saw during a trip to Indonesia’s spectacular Komodo Islands National Park. Komodo Crypto source code. 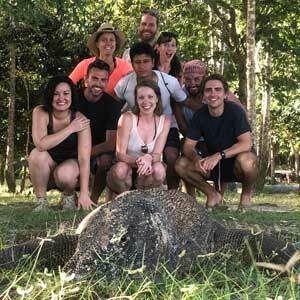 Komodo Crypto followed in the footsteps of a similar final project from our 2017 Java cohort in Playa del Carmen, Mexico. Here students created “Bot Arbitrage” which analyzes cryptocurrency price variations between various exchanges, and makes live trades when the profit margin crosses a 10% threshold. Our students took this application live and started making profits within the first week! Bot Arbitrage source code. With our students coming from all over the world and wanting to find work in various countries, we provide career resources to make their job search as smooth as possible. In addition to inspirational and tactical presentations given in class focusing on how to proactively approach the job search, we continue supporting and mentoring students after the bootcamp is over. This includes providing effective resume and cover letter templates plus individual resume / cover letter feedback, sending job opening announcements from our network, editing LinkedIn and AngelList profiles, helping students with freelance project pitches and contracts, mock interviews and more. Several of our students have already found jobs, others are pitching projects together as freelance teams. One of our students’ companies sent him to our course for training so he could transfer into engineering at his company – a fantastic investment for companies needing engineers who prefer to train within rather than hire externally. No matter what our students’ end goal is for learning to code, we help each student individually to help make sure their needs are met in the course. How to find a job after a coding bootcamp. 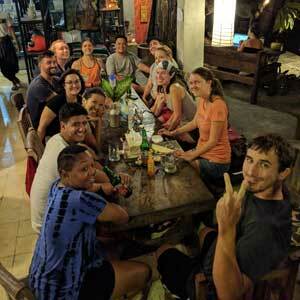 —Heather, CodingNomads Java-Bali Alumni Read full review. Aside from our competitive tuition prices and unique focus on backend engineering, our experience of learning to code abroad is truly what sets CodingNomads’ codeschool apart from the rest. Once again, Bali did not disappoint. Our cohort worked hard and accomplished a lot with coding, but on the weekends our group sure knew how to take breaks in style. 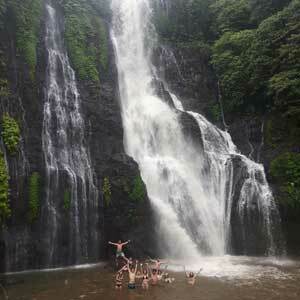 Ubud, Bali is located in the center of the island amidst the lush jungle and terraced rice paddies. 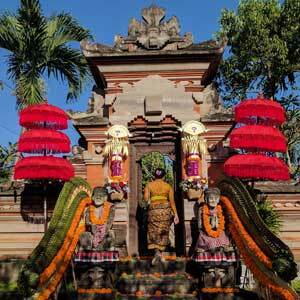 The streets of Ubud are inspiring – decorated with ornate Hindu sculptures, fragrant incense and immaculate landscaping. Walking to and from school every day put students in a relaxed headspace to focus better on learning. 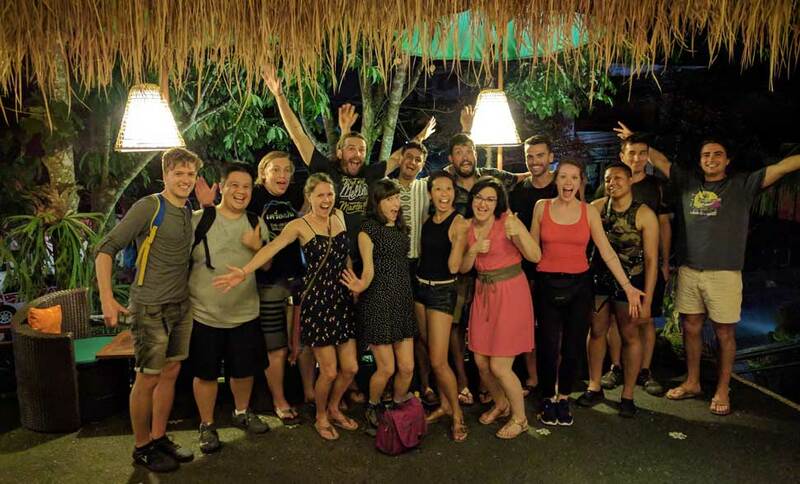 We really can’t say enough good things about Ubud and Bali – a truly ideal place for our coding retreats! 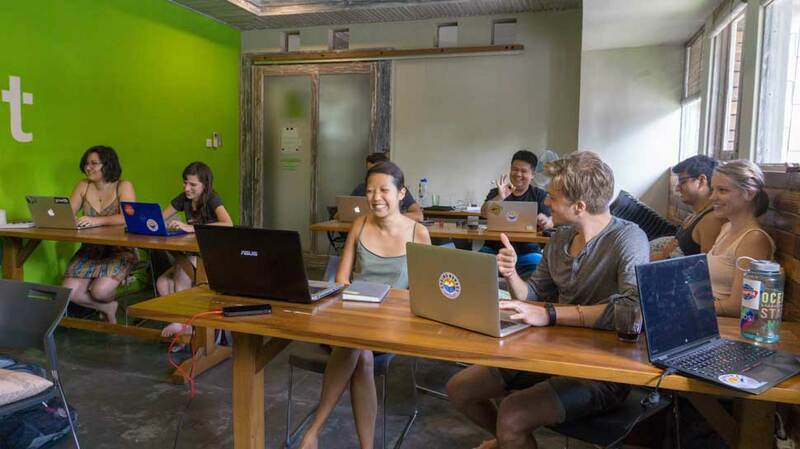 Our bootcamps wouldn’t be anything without our office space at Outpost Coworking located in the beautiful Nyuh Kuning neighborhood. 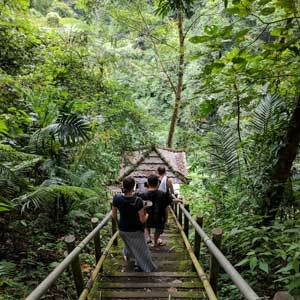 After hosting bootcamps around the world we can say that Outpost is one of the best coworking spaces we’ve ever seen – with light-filled rooms, staff that become your friend, and amazing swimming pools overlooking the jungle and river – perfect for lunch breaks and Friday happy hours! Outpost and its staff have become invaluable partners and friends to CodingNomads – we are so grateful for their hospitality and can’t wait to return! 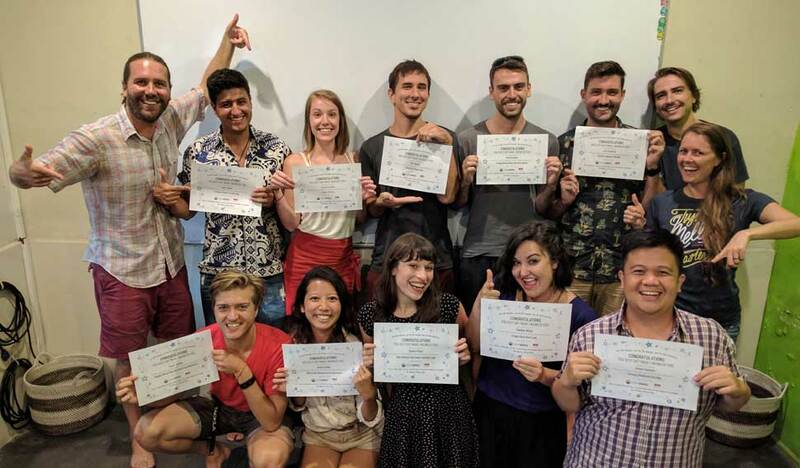 Our Bali 2018 Java course cohort had an overall energy and spirit that could be summed up by what became our group theme song – Push it to the Limit. Have a listen and feel the energy! We’d play this song to get pumped up for class. We’d play it to get pumped up for the weekend. More than just a song, “push it to the limit” became our motto when coding all day, climbing the Mt. Batur volcano at sunrise; riding scooters for hours in a downpour of rain; exploring foreign street food and local spice; walking up and down hundreds of stairs to discover massive waterfalls; partying on the beaches in Canggu; or having dance-offs and pool parties until 5 a.m.
With “push it” having coding connotations too, punny lyrical substitutes of “push it up to Github” became part of our class vernacular. And push it we did. With code (to a GitHub branch called “the limit”), with friendship, and with fun, this cohort pushed our group experience to the limit, creating memories that forever changed each of our lives for the better. Each time a course ends, we laugh ourselves to tears for all the memories we’ve created. This course was no exception. Saying goodbye was so difficult that several of our students changed their flights, did border runs, and prolonged their trips to continue spending time together afterwards. The bonds forged during world travel cannot be understated. It’s incredibly special to make such good friends in such a short amount of time. 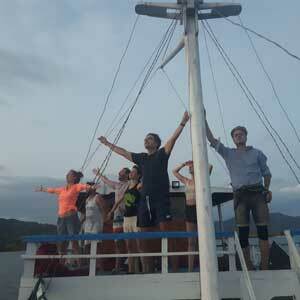 When we first started CodingNomads, we could only hope that such experiences and relationships would ensue. The depth of friendships formed has been a dream come true. Learn to code, travel the world, and make lifelong friends and memories. That is CodingNomads, and we couldn’t be more proud to be part of it. Huge congrats to the Java-Bali cohort of 2018. We are so proud of you, miss you already, and “beanie weenie” you to the moon and back. You are the reason why we do what we do at CodingNomads. We are excited to return to Playa del Carmen for our Java course in September. See our recap blog from last year, and our Mexico Java course page for details. Our Python course in Barcelona this September is shaping up to be a fantastic course. Our curriculum teaches complex web application development in one of the most versatile, intuitive and popular programming languages: Python. See our Barcelona Python course page for details.